Richland County, Ohio. – They like to get the strings off. 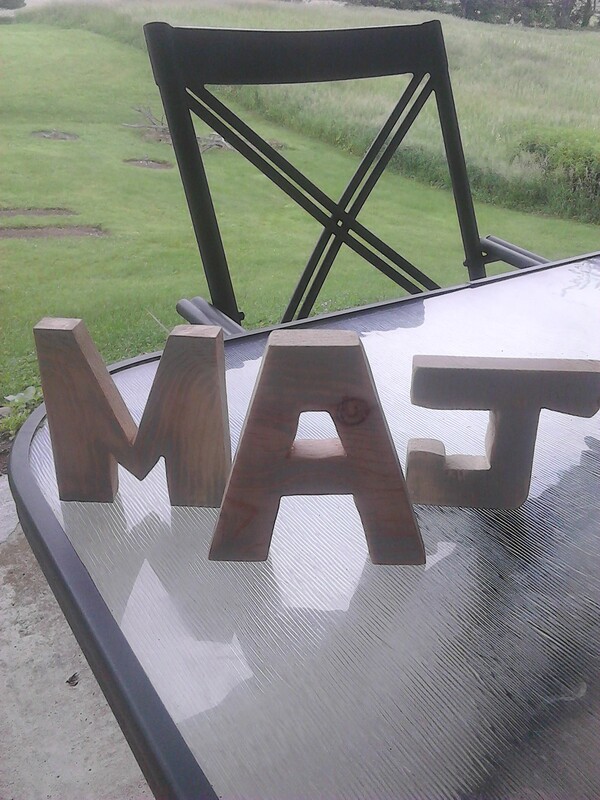 My Grand kids spent considerable time drawing and sanding these letters. 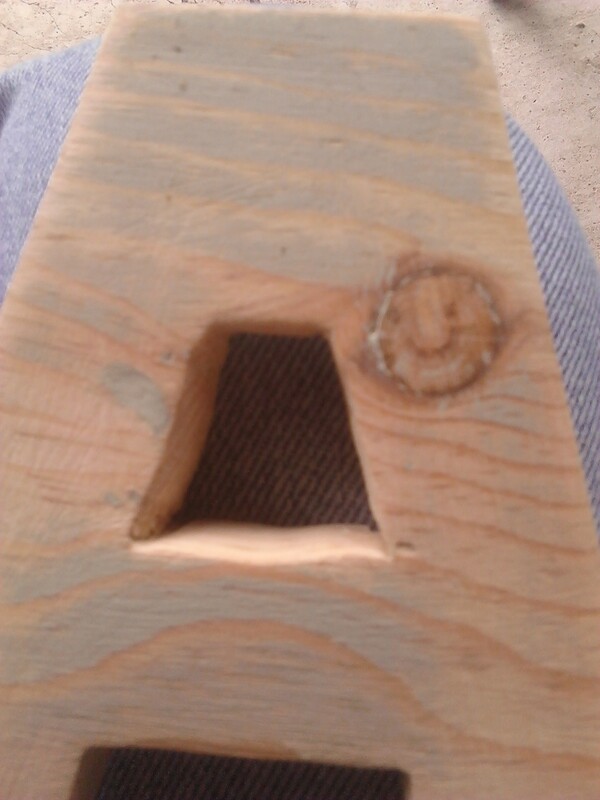 Alex’s has a little smile face in a knot. Cool! 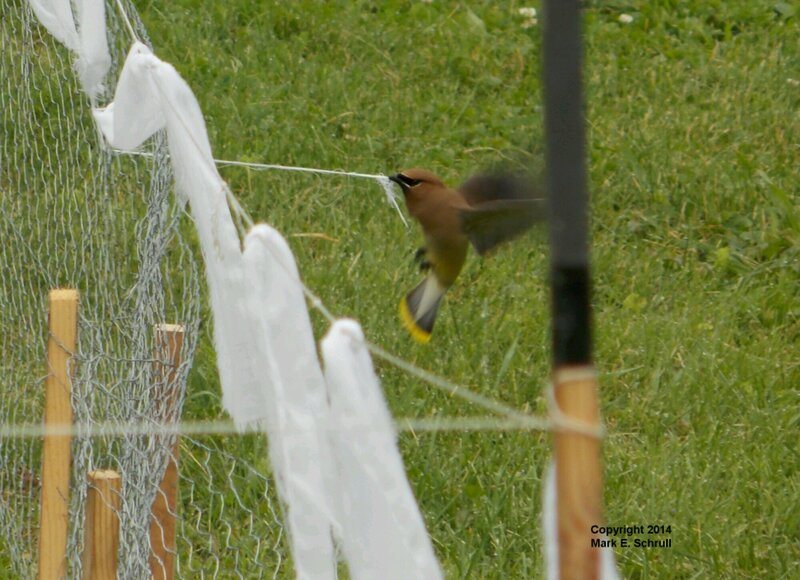 6/11/14 Mansfield – The weather has been perfect these last few weeks, from this gardener’s perspective. 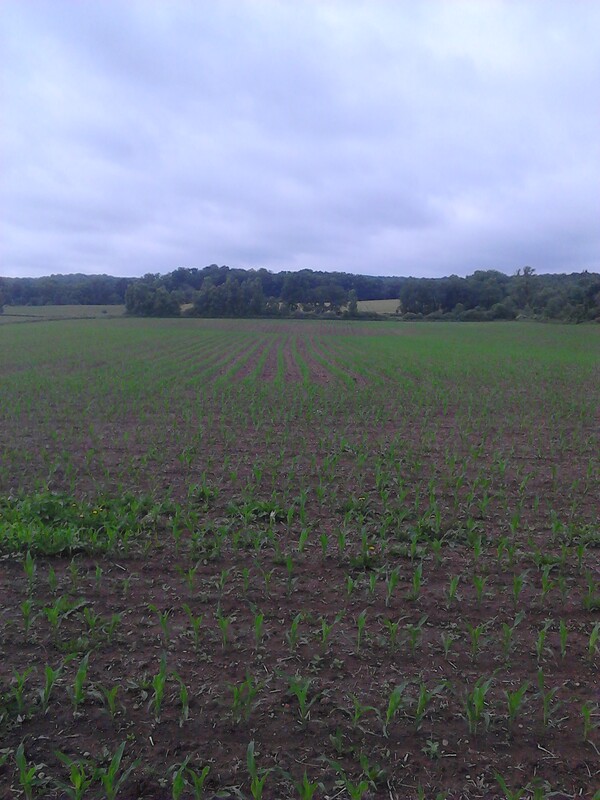 Dry enough to get everything planted, followed by sunny days with good soaking rain days mixed in. 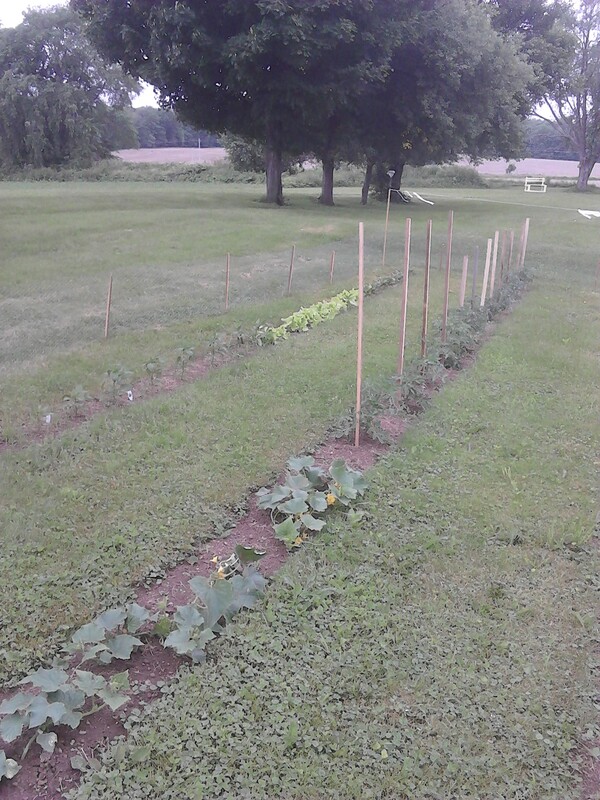 Everything is doing well in my garden and in the farmer’s fields which surround our house. So far so good on keeping the beautiful wildlife away from the salad table. 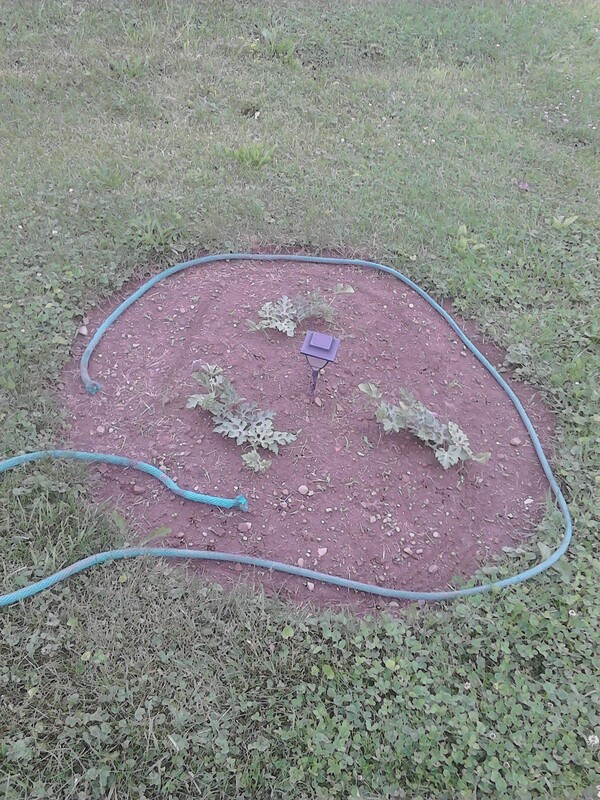 My blue rope around the water melons is an attempt to fool little bunnies into thinking its a snake.